Tyfun is one of the newest dim sum restaurants to hit the scene. 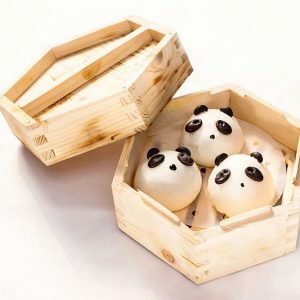 Following in Yum Cha’s footsteps (see below), Tyfun offers traditional Cantonese dishes including adorable chicken and mushroom buns shaped like pandas, glutinous rice dumplings stuffed with pork that look like carrots, goldfish dumplings and more. The design is sleek and they also boast an impressive cocktail menu if you’re looking for a drink with a side of dumplings after work.